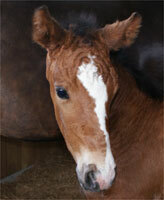 Diva Primero foaled "Panache MH", a fIlly born 1.11.10 by Prestige VDL. Bay with 3 sox. 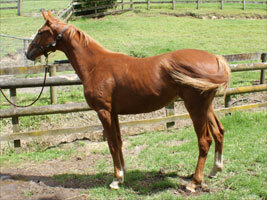 A lovely upstanding filly. Not for sale at present. 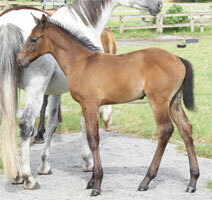 Adelheid has produced "Deluxe MH", a colt born 31.10.10 by Dacaprio. Black with 2 sox at the back, he is very well put together and very good looking. 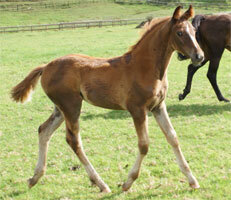 Gratiola has delivered the lovely colt we have called "Guess MH" who is by Gymnastik Star. 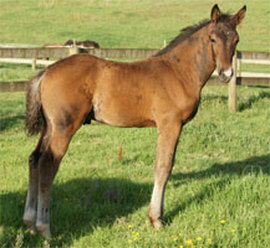 A very nice colt, brown with 2 white sox behind. 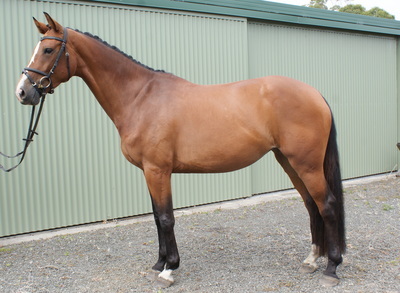 He was born on the 7th November 2010. 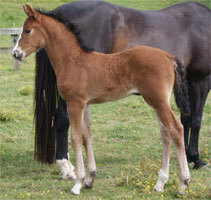 Antega MH has had a pretty filly by Belafonte, she is chestnut with 3 whte sox. born 21.11.10. 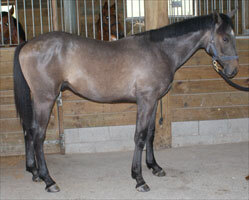 A really nicely marked filly. 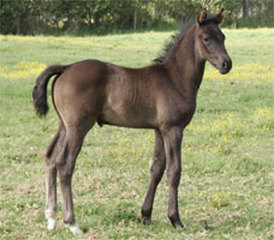 Sylvester MH is a very nice colt by Stolzenberg out Grandessa MH, born 4.12.10. Will be grey, a lovely fellow.